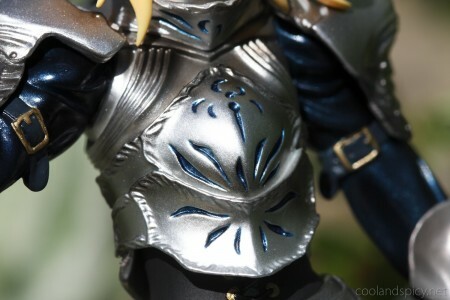 Gift is a relatively new figure company but they seem to be doing a pretty decent job right off the bat. 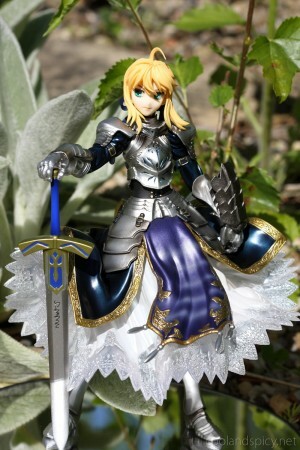 I actually bought this Saber figure before I had watched Fate/Stay Night. Although I hadn’t seen the anime, I was aware of the game and the general plot. Is it odd to like a character from a series you’ve never watched or played? 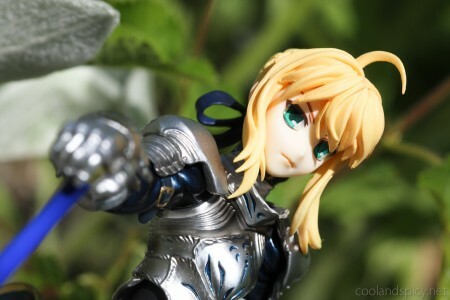 ^^; I’ve since watched the anime and my initial fondness for Saber proved to be well-placed. She’s a great character ^^. 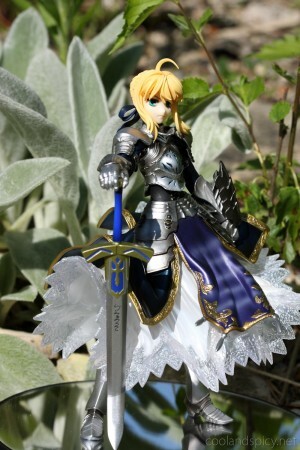 Saber is outfitted in skirt and full armor. 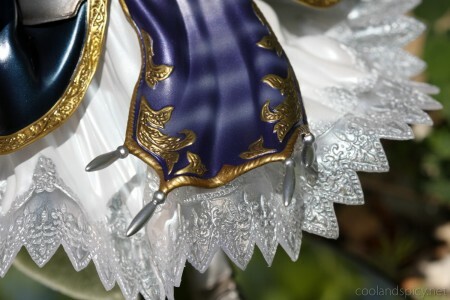 The detail on her skirt is impressive, especially on the semi-transparent white lacy part. Photos taken outside in a garden. Probably should have blurred the background more but still a nice setting. All handheld shots. 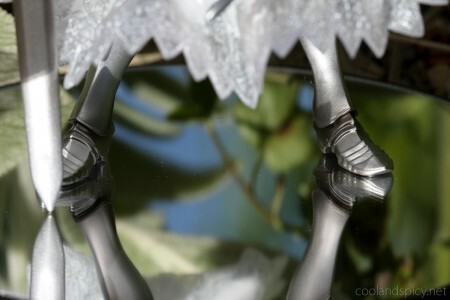 Thanks to the sunny conditions, there was enough light that I was able to use sufficiently fast shutter speeds with my macro lens. 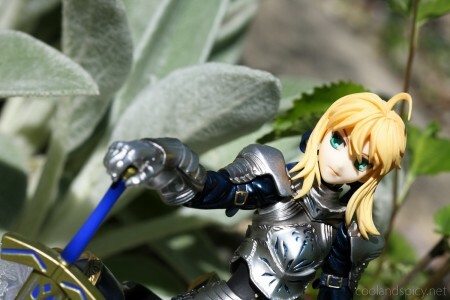 Saber’s armor is skillfully modeled and is perhaps the most attractive feature of the figure. 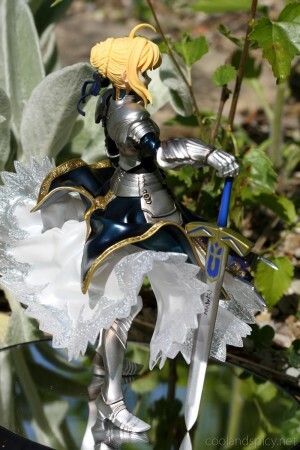 Saber looks quite imposing grasping Excalibur. 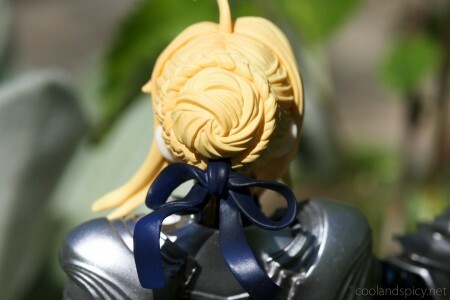 Of course, gotta have the trademark Saber hair bun + ribbon! 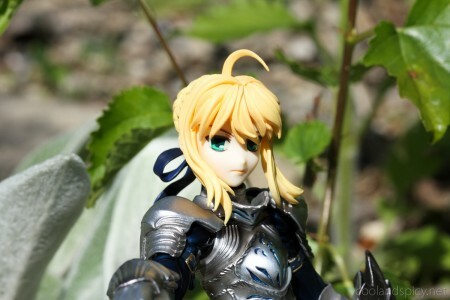 Gift opted to provide two faces for Saber: The familiar anime-style face and a more realistic face. Totally not a fan of the “realistic” face. 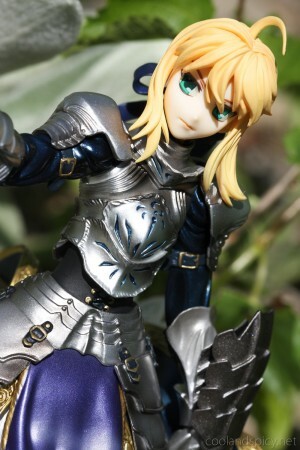 The eyes, the nose, even the mouth… they all just seem off >_< I will be keeping the anime face on my Saber. 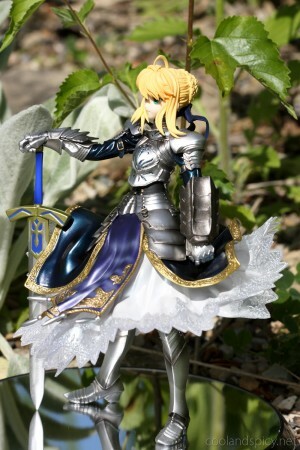 A great figure by new figure company, Gift. She comes with two faces, though only one is worth using. 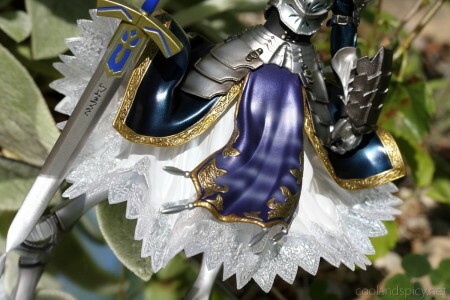 Awesome armor, detailed lacy skirt. Considering the great deal I got on this figure, I’m quite satisfied. 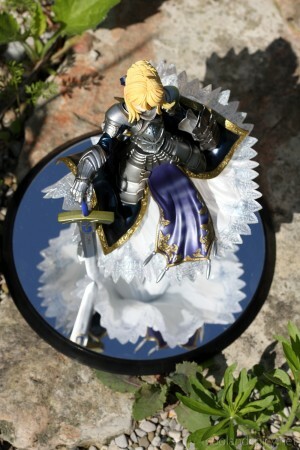 Even at full price, this figure would have been a good buy as it is well made overall. 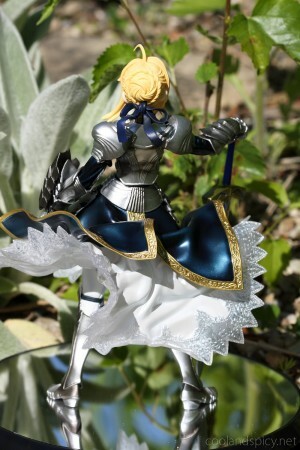 This figure is really nice, and she have a great sculpture. But I don’t like her two face ^^”. Nice shooting ! 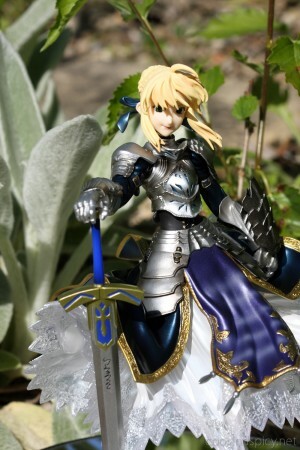 While the armor and skirt of the Gift Saber figure are simply superb, the face looked so off to me that I passed on the figure. .-= Smithy´s last blog ..Azusa, Tsumugi and Ritsu Image Song albums confirmed =-. Yep, definitely an impressive first figure from Gift. I also like their Yoko which I may be able to show in the future ;) I hope they continue releasing quality figures.